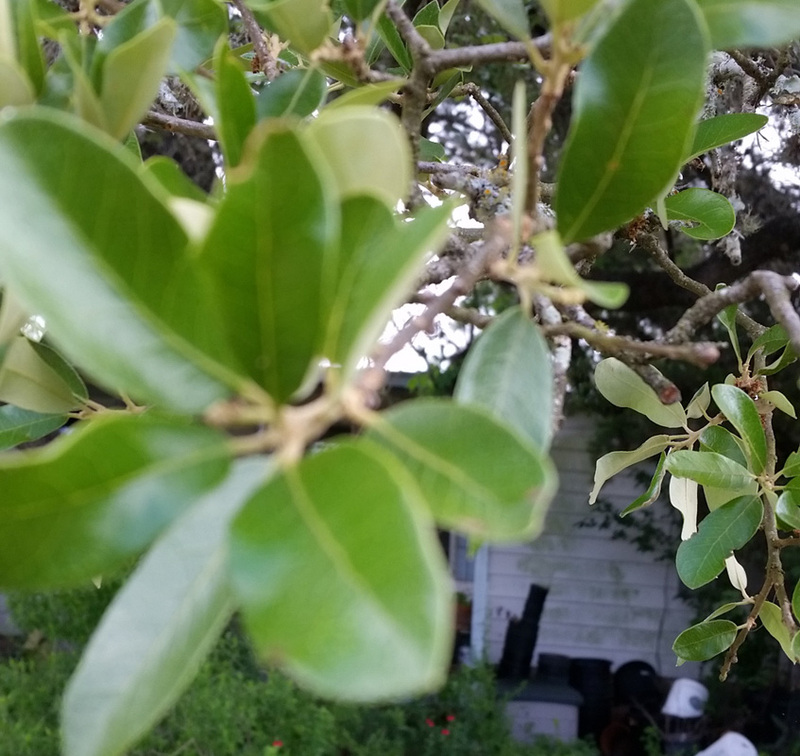 Are there evergreen oak trees? Evergreen Oak trees retain their leaves year round or lose them briefly when they put on new growth. In March, the Texas Escarpment Live Oak (quercus fusiformis) drops it's leaves. The new leaves form rapidly in less than a month on average. With some of the evergreen Oaks, new leaves are brightly colored, sometimes yellow/orange as it is with the Emory Oak. 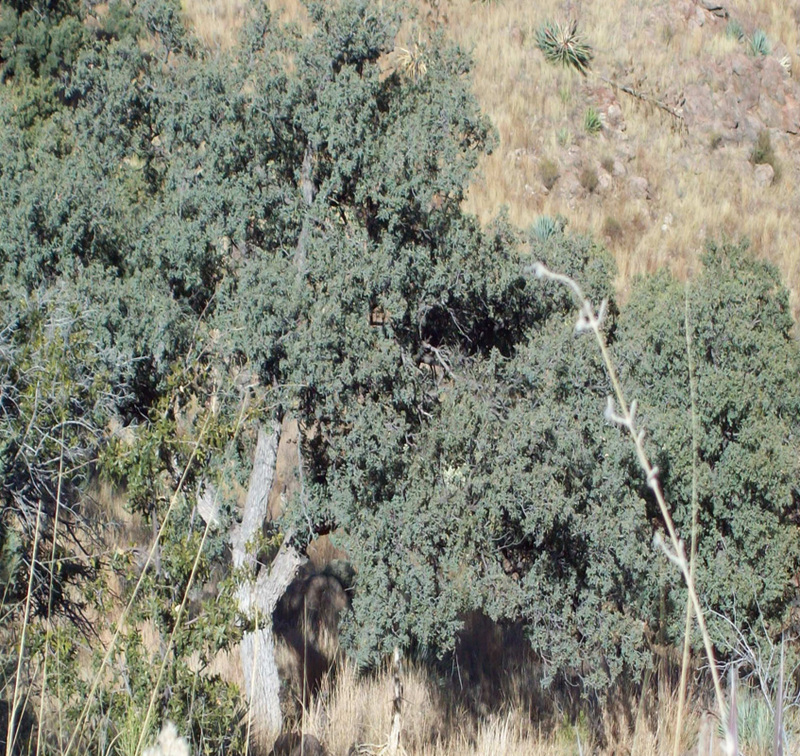 This Oak can be found growing in lower grassland elevations in climates that are hot and dry with summer monsoon rains. It can be found throughout Arizona, New Mexico and West Texas. The mature trees can be over 20 feet tall with a wide canopy. In years when acorns are produced they usually ripen in late July through August. The Texas Hill country is known for it's large groves of this type of common Oak. It is a fast growing Oak that typically grows as wide as it does tall. Mature specimens will be over 20 feet tall. Extremely drought tolerant, it can also be affected by Oak Wilt. There are several treatments that are used to combat this disease. 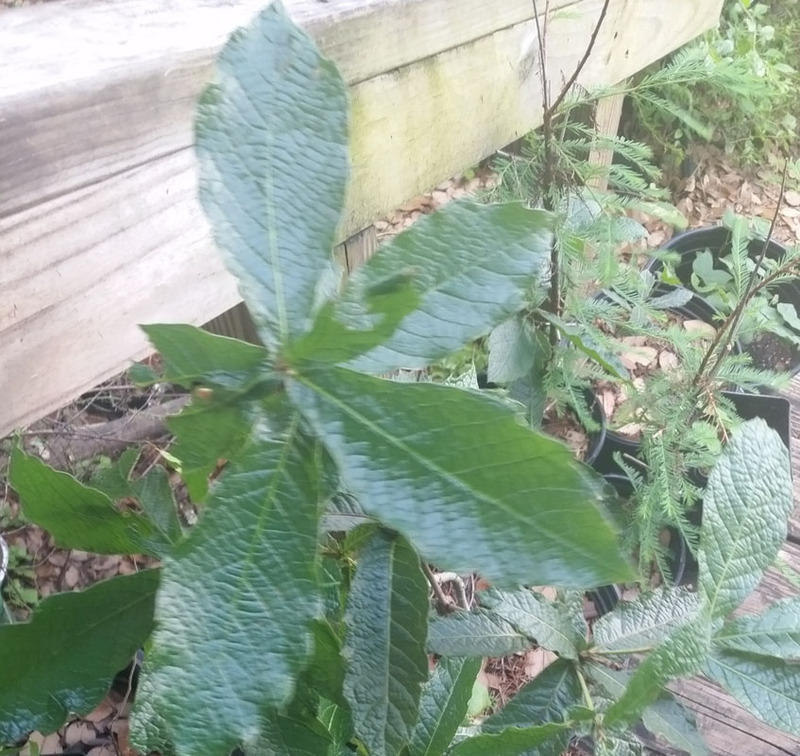 This broad leafed evergreen oak can reach up up 50 feet tall. With an unusual shaped leaf - with soft ridges in the individual leaf - the rich green color gives this tree leaves a very distinctive look. Despite it's origin in Mexico it has been grown successfully in England, proving it can be grown in US. 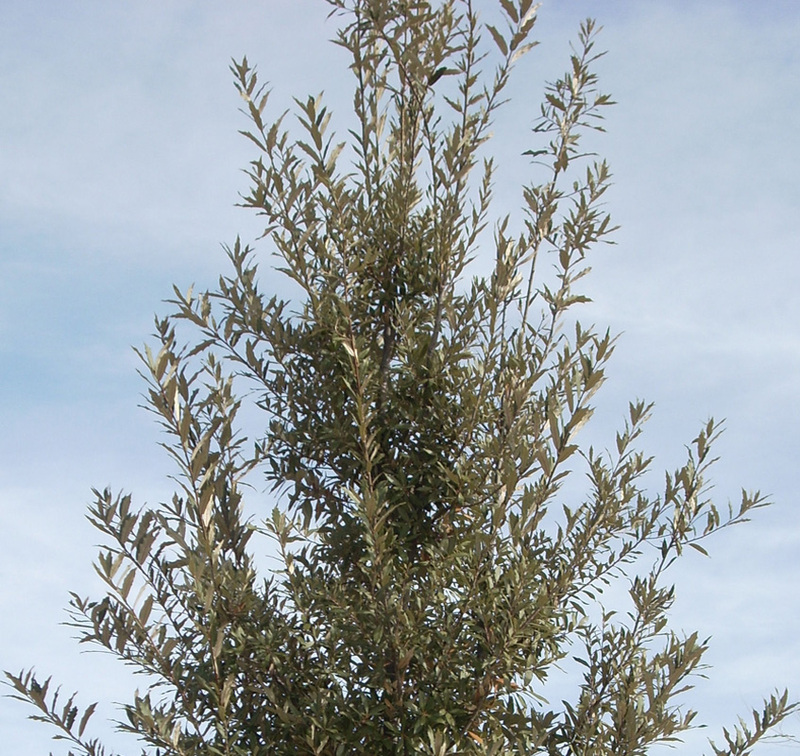 It's original tree range was the Mediterranean area but it has successfully grown throughout Europe. The acorns are large approximately one inch in length and like other large acorns grow rapidly. The leaves have distinctive spiky tips on the edges in a nice green color. It can be grown in zones 7 through 11. 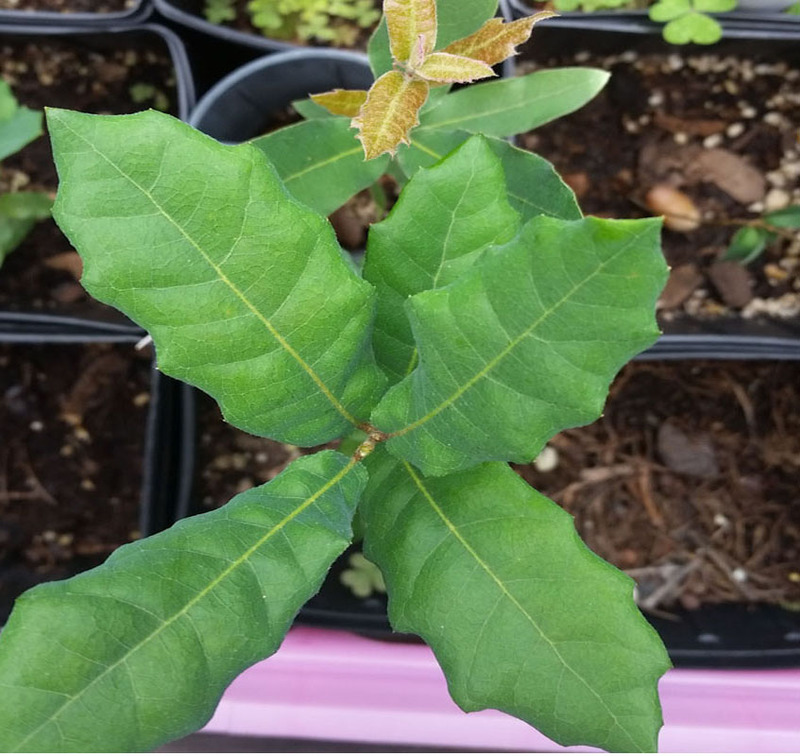 This Oak variety is a large evergreen oak with a blueish cast to the leaf color. 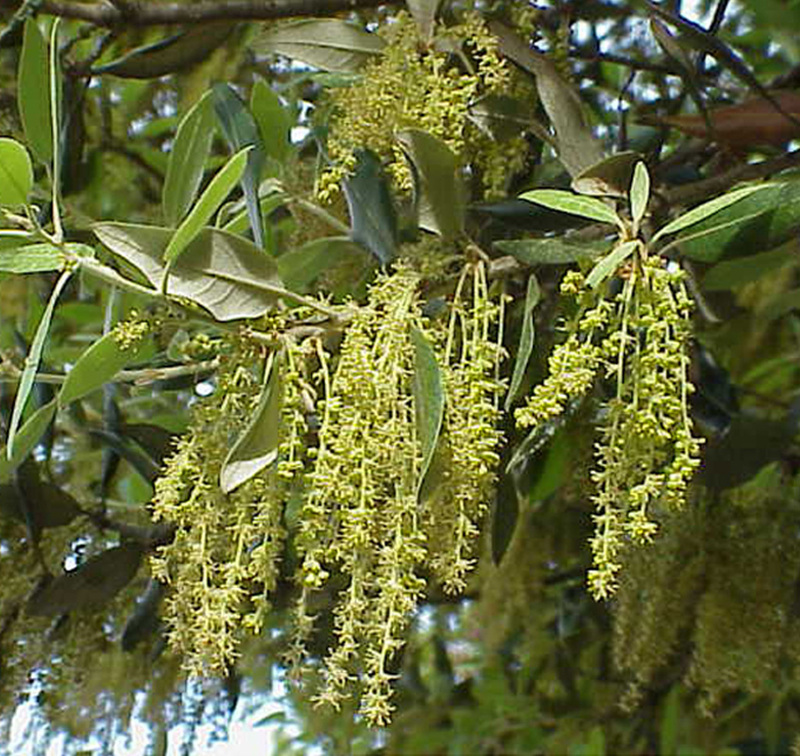 It is very drought tolerate and provides year round shade except when it loses its leaves briefly in Spring. Trees are found in the grasslands, canyons and lower mountain ranges in Arizona, New Mexico, West Texas and into Mexico. Silver leaf oak can be found at many locations through the mountains of Arizona, New Mexico, California, Washington and Oregon. The mountain elevations vary from 4,500 feet upwards! It is a beautiful tree with slender leaves that grows easily to 30 feet tall. Hypoleucoides means "white underneath" which is a good way to identify the leaves.